Pre-flop, where all of the mayhem that is no-limit hold’em begins. With the tough poker climate of 2017, a good pre-flop strategy is mandatory for long term success. 3-betting with 40 big blind stacks. Why you should open raise A5s UTG. Playing A-x from the looser positions and blinds. Whether or not to change your open size based on position. Pre-flop strategy in the early stages of tournaments. How to interpret min-raises and overbet raises. These are some top notch questions and Doug answered them like the boss he is with knowledge nuggets that will keep you intellectually fed for a long time. Got a poker question of you want answered? Click the button below to Tweet @UpswingPoker and watch out for the answer in future articles! Q1: How do you change your 3-betting strategy versus 40 big blind stacks? When you 3-bet with standard 100 big blind effective stacks, the original raiser can 4-bet without committing the rest of their stack. This allows them to 4-bet with a relatively wide range, which puts you in a tough spot with most of your hands. The tables are turned when the effective stacks are in the 40 big blind range. With short stack sizes, the original raiser will be pot committed after 4-betting. This gives the players behind an advantageous 3-bet spot, as the original raiser’s ability to 4-bet has been greatly reduced. Doug’s first recommendation was to use smaller 3-bet sizes. This reduces the original raiser’s ability to 4-bet jam and forces them to commit a significant portion of their stack pre-flop if they want to see a flop, usually out of position. It’s usually best to 3-bet to about 3 times the open-size when there are antes. Without antes, use a slightly smaller size. When out of position, use a slightly larger size. In terms of hand selection, Doug advises that you leverage this advantage by widening your 3-bet range. Start by 3-betting with more thin value bets. With the original raiser’s ability to 4-bet stinted, you can comfortably 3-bet more thin value bets without the threat of a big 4-bet blowing your off of your equity. Also, don’t be afraid to mix in some bluffs against the shorter stacks. This balances your 3-bet range and puts them in a tough spot for a big chunk of their stack. Q2: In your pre-flop guide, why do you open with A5s UTG? Doug loves A5 suited, and he includes it in his early position opening range for several reasons. A5 suited has great equity against calling ranges. Against a typical calling range, containing hands like JJ-66, broadways, suited connectors and dominating Ax, A5 suited’s equity isn’t half bad. A5s has 43% equity against this strong calling range. It will almost always have an over/live card and have several other ways to make the best hand, if it isn’t the best hand already against something like KQ or a 87s. A5 suited will realize it’s equity relatively well. A5 suited is extremely versatile, with both the nut flush and deceptive straight possibilities. This allows A5 suited to do a better job at realizing it’s equity, a particularly important trait when talking about UTG ranges, which will often be playing out of position post-flop. It’s also important to note that A5 suited blocks an Ace, which makes it less likely your opponents will have Aces, AK, AQ, AJ, etc. Will they still get Aces and AK sometimes? Most definitely. Always tread carefully with hands that are easily dominated. Ask Questions, Get Answers. Anytime. 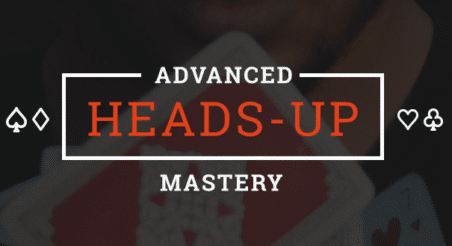 Serious about improving your poker game? Become a member of The Poker Lab and get all of your poker questions answered by Doug Polk, Ryan Fee and the 1,594 (and rapidly growing) other poker players in the private Upswing Facebook group! Click HERE to learn more. Q3: How do I play A-x around the blinds (cutoff, button, sb and bb)? This is a tough question to answer in a concise manner, but Doug did so with some great general guidelines for playing A-x hands in the looser positions. Let’s go position by position. Against a single opener, you’re almost always going to be defending Ax in the big blind because your hand is just too good to fold pre-flop. That said, against a particularly tight position or large sizing, a case can definitely be made to fold the worst offsuit A-x. The small blind is a relatively tough situation to lay out because there are many variables involved. In general, you will almost always be playing your big Ax hands (ATs+, AJo+), sometimes playing your medium Ax hands (A2s-A9s, ATo), and often folding your weak Ax hands(A2o-A9o). Because of the small blind’s post-flop positional disadvantage, its usually best to 3-bet or fold from that position when facing an open, sparingly flat-calling (see: 4 Rules to Play Your Small Blind Smart). Open-raise size: Don’t be afraid to loosen up against smaller sizes, and maybe even consider flatting some hands. Position of raiser: Against the earliest positions, play very tight and don’t feel the need to 3-bet your entire continue range. Likelihood of big blind to squeeze: If the big blind is aggressive, you should almost never flat opens from the small blind due to the threat of a 3-bet squeeze. Tight (and aggressive) is usually right when it comes to small blind play. When the action folds to you, open-raise every A-x hand from the button, both suited and offsuit. When facing an open on the button, you should continue, usually by flatting, with most suited A-x hands. Even the weakest suited A-x, such as A7s or A6s, play and realize their equity somewhat well in position. Against an open and 1+ caller(s), usually over-call the suited A-x hands. Hands like A5s play extremely well in multi-way pots. BTN vs LoJack RFI ranges from The Poker Lab. Note how few offsuit A-x hands are recommended compared to suited. It’s really easy to play too many offsuit A-x hands because they have 3 times as many possible combinations (12) as their suited counterparts (4). Its also tougher for offsuit hands to realize their equity post-flop. For these reasons, only include the strongest offsuit A-x hands in your small blind continue range versus an open. From the cutoff, you should be opening your medium to strong A-x hands and possibly your weaker ones depending on the skill level of the players behind. If there are weak players on the button, small blind and/or big blind, open a wider range to force them to make more decisions (and mistakes). If there are strong players behind that will be 3-betting with a notable frequency, you might be better off mucking the weakest A-x hands. Facing an open from the cutoff is similar to facing one on the button, just with a tighter range. CO vs LoJack RFI chart. That’s a fair bit tighter, with many of the A-x hands shifting down a category (A9s-A6s became folds, AJo went from call to 3-bet, etc). Q4: What are your thoughts on smaller open sizes from later positions pre-flop? I see this question asked a lot and Doug had a great answer backed by some personal research. He found that, over a large sample size, different open sizes performed at a very similar level. This makes sense, because as you raise bigger, your pot odds on a steal get worse but it works more often. As you go smaller, your pot odds on a steal improve but it works less often. Doug doesn’t seem to think it really matters that much which size you choose, but it is important you stay consistent with all of your hands to avoid becoming predictable. To answer the question directly: Mixing up your open sizes based on position will usually be an unnecessary complication (see: Unexploitable Preflop Opening Strategy Explained). Pick a size that works for you and stick with it. If you play in tighter games, choose a smaller size and in looser games, choose a larger sizing. Q5: In the early stages of a tournament, do you like to raise wider or keep a more snug range? This question, and ones like it, demonstrate a common mistake many players make when thinking about tournaments. Doug made it very clear to me that these questions just don’t make much sense theoretically. Worrying about these specific (and sometimes non-existent) little nuances is a waste of effort. Better to focus on making the best decision every hand with the information you have. There are some structures and tournament situations where you are incentivized to adjust your play (like in a shootout tournament or on the money bubble), but at the end of the day you should be making decisions based on the specifics of the situation. I personally hear people talk about Day 1 of a tournament as if it’s drastically different from Day 2, but it really isn’t. Yes, there are probably a few small nuances where people are going to play a certain way in hopes of making it to Day 2, but that should rarely affect one of your decisions in-game. The only real big nuance to ever pay attention to is ICM, and that’s a whole another discussion. Q6: Are min-raises and overbets always polarized? Okay, this last question isn’t more applicable to post-flop play, but it touches on some pre-flop situations so I added it in as a bonus. First of all, it’s important to note that a min-bet and an overbet are two completely different bets and should be looked at separately. Min-raises are more polarized the closer they are to the river. Pre-flop min-raises used to be a sign of a fish, but they’ve become the norm as it allows players to open a wider range. Over-bets are always polarized because they risk a lot to win a little. Middle of the road value hands don’t work out well as overbets because they will often force folds from all worse hands, only getting action from better ones. You can guarantee via the word of Doug that an overbet represents either a very strong or very weak hand. Got a poker question you would like answered in our next article? Click the button below to Tweet your question or just leave it in the comment box below.